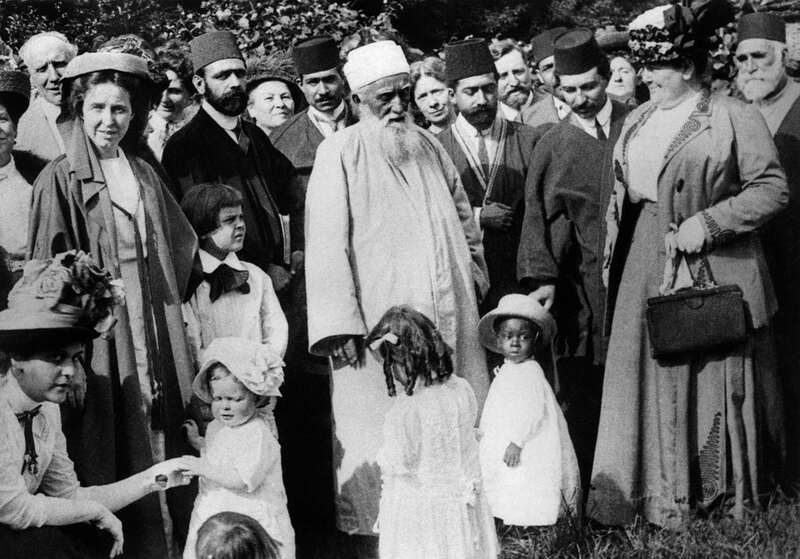 This Interfaith Devotional program focuses on ‘Abdu’l-Baha, son of Baha’u’llah and his dedicated life of service. These readings have been selected from various religious traditions. Please come and join us on Sundays at 9:30 am at the Beaverton Baha’i Center. Glory be to Thee, O God, for Thy manifestation of love to mankind! O Thou Who art our Life and Light, guide Thy servants in Thy way, and make us rich in Thee and free from all save Thee. O God, teach us Thy Oneness and give us a realization of Thy Unity, that we may see no one save Thee. Thou art the Merciful and the Giver of bounty! O God, create in the hearts of Thy beloved the fire of Thy love, that it may consume the thought of everything save Thee. Reveal to us, O God, Thine exalted eternity – that Thou hast ever been and wilt ever be, and that there is no God save Thee. Verily, in Thee will we find comfort and strength. Without selfless service are no objectives fulfilled; In service lies the purest action. O ye lovers of God! Be kind to all peoples; care for every person; do all ye can to purify the hearts and minds of men; strive ye to gladden every soul. To every meadow be a shower of grace, to every tree the water of life; be as sweet musk to the sense of humankind, and to the ailing be a fresh, restoring breeze. Be pleasing waters to all those who thirst, a careful guide to all who have lost their way; be father and mother to the orphan, be loving sons and daughters to the old, be an abundant treasure to the poor. Think ye of love and good fellowship as the delights of heaven, think ye of hostility and hatred as the torments of hell. Indulge not your bodies with rest, but work with all your souls, and with all your hearts cry out and beg of God to grant you His succor and grace. Thus may ye make this world the Abha Paradise, and this globe of earth the parade ground of the realm on high. Heaven is eternal and Earth everlasting. They can be eternal and everlasting because they do not exist for themselves, And for this reason can exist forever. Therefore the sage places himself in the background, but finds himself in the foreground. He puts himself away, and yet he always remains. Is it not because he has no personal interests? This is the reason why his personal interests are fulfilled. At the beginning, mankind and the obligation of selfless service were created together. “Through selfless service, you will always be fruitful and find the fulfillment of your desires”: this is the promise of the Creator…. Every selfless act, Arjuna, is born from the eternal, infinite Godhead. God is present in every act of service. All life turns on this law, … those who realize the God within are always satisfied. Having found the source of joy and fulfillment, they no longer seek happiness from the external world. … by devotion to selfless work one attains the supreme goal in life. Do your work with the welfare of others always in mind. … Perform all work carefully, guided by compassion. That is the Bounty whereof Allah gives Glad Tidings to His Servants who believe and do righteous deeds. Say: “No reward do I ask of you for this except the love of those near of kin.” And if any one earns any good, We shall give him an increase of good in respect thereof: for Allah is Oft-Forgiving, Most Ready to appreciate service. The best of men are those who are useful to others. Rendering help to another is the function of all human beings. The sage does not accumulate for himself. The more he uses for others, the more he has himself. The more he gives to others, the more he possesses of his own. The Way of Heaven is to benefit others and not to injure. The Way of the sage is to act but not to compete.